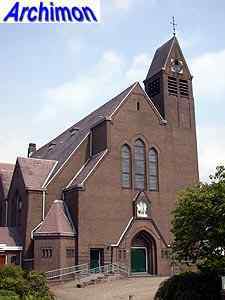 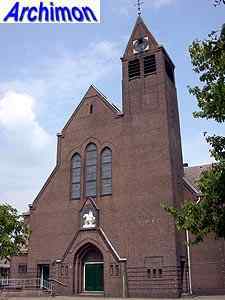 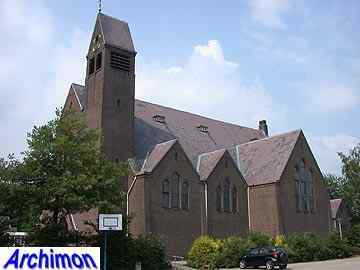 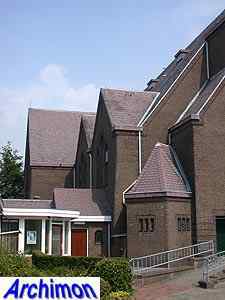 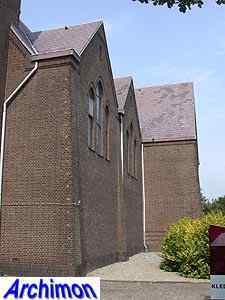 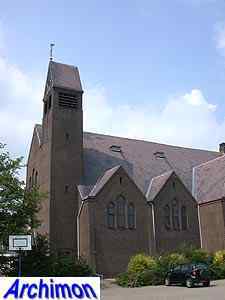 The St. Martinus was build as a replacement for a church built in 1844. 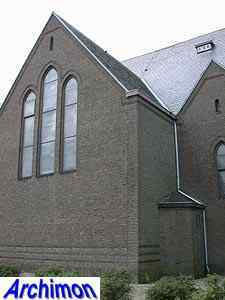 Although Jos. 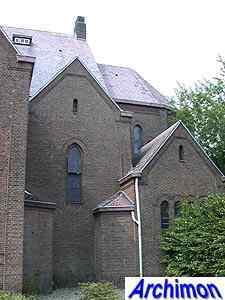 Cuypers is usually mentioned as its only architect, it is not unlikely he designed it in conjunction with his son P. Cuypers jr.. 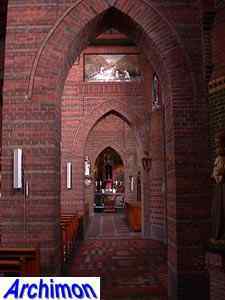 The two architects had worked together since 1920. 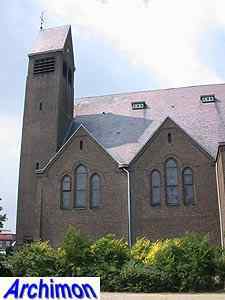 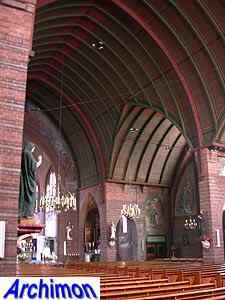 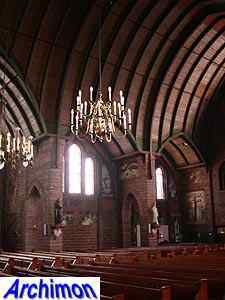 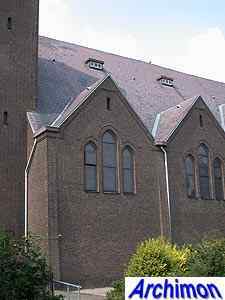 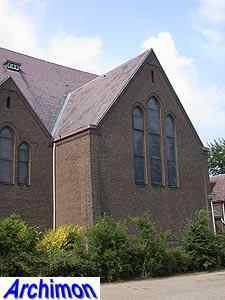 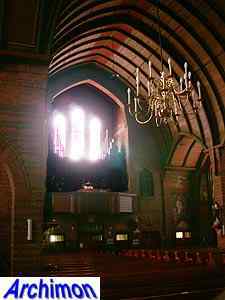 The St. Martinus is a three-aisled cruciform church in a style that combines elements of neo-Gothic with Expressionism. 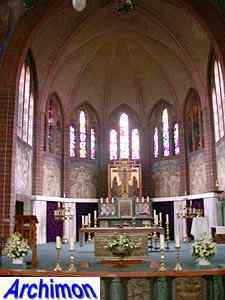 Not unusual for Cuypers, the side-aisles consist of chapel-like traves, each with a roof square on that of the nave. 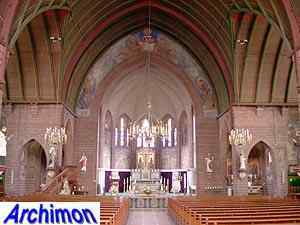 The transept is similar but bigger all around. 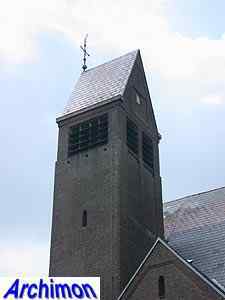 At the front, integrated in the facade, is a tower with a saddle-roof. 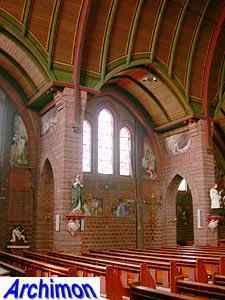 At the back is a polygonal choir. 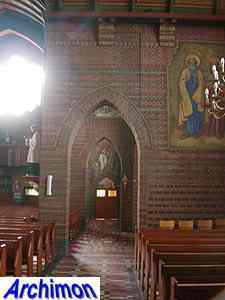 In contrast to the exterior, the interior is quite ornamented and colourful. 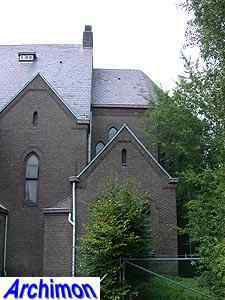 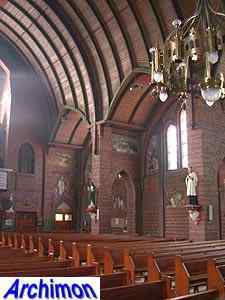 In 1987 a chapel was added to the north side.